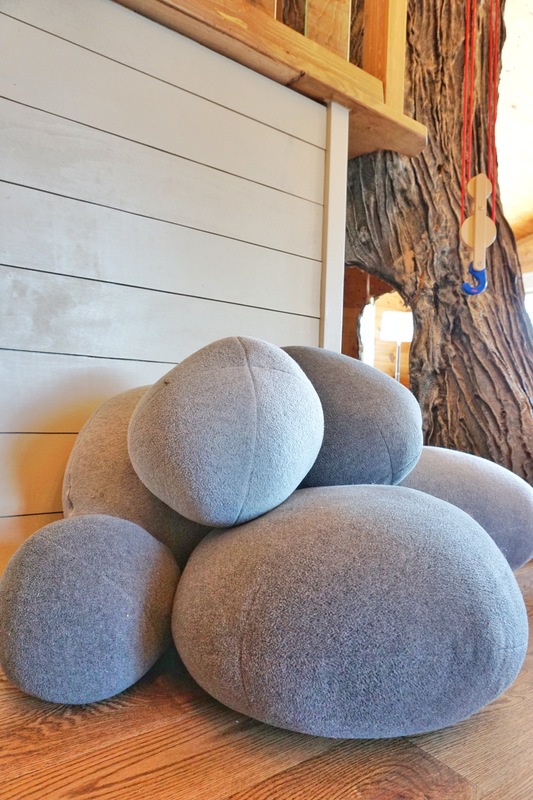 Welcome to our open (tree) house! Please allow me to show you around. We absolutely love it and hope you will too. Let me tell you the story of how it came to be ours. 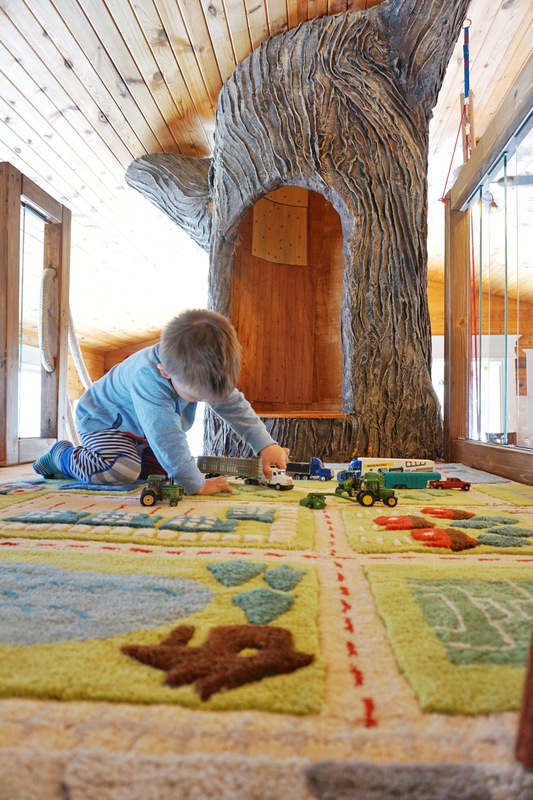 I visited a toy store in the big city a few years ago and I was immediately blown away by the giant oak tree house inside the store. It was made of a variety of materials, but the outermost layer, the “bark,” is burlap. It was skillfully painted by an extremely talented artist and it looked so real. Years later while searching Craigslist for office furniture, I saw that unfortunately the toy store was going out of business. 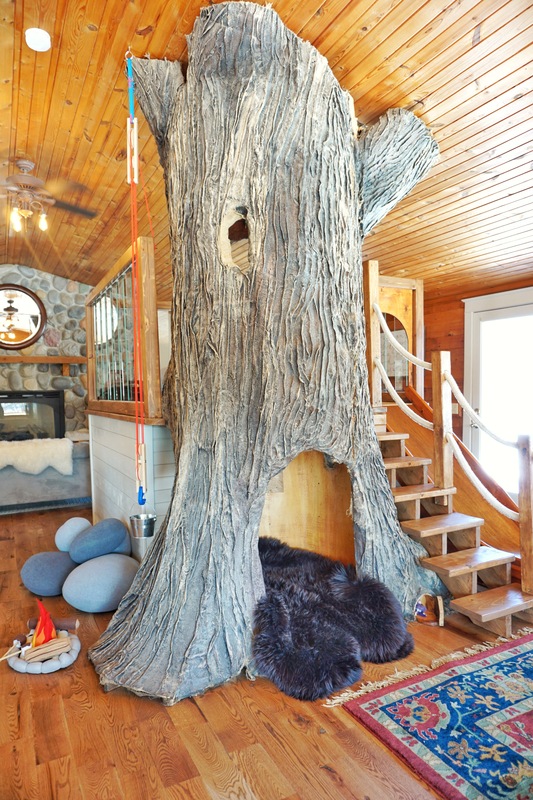 I called and expressed interest in their tree house. They told me that many people, schools and businesses were also interested and that if no one claimed it before they had to vacate, they’d let me know, but I shouldn’t get my hopes up. Guess what? She called! It turns out, moving a 20 foot tree from inside a building is pretty intimidating for most people. Not my resourceful, capable, farmer husband! This was small potatoes for him. So, one bitterly cold, snow stormy Sunday, we hopped into the stock trailer (yes, the kind that hauls horses and cows) and we headed into the big city. We parked our hay dusted trailer on the street, cut the tree into three pieces, loaded it up and away we went! We had some really talented friends help us assemble the tree house and I couldn’t be happier with how it came together in our home. The second level sits above our stairwell, and there were many different options for finishing it. We considered faux rock, to match the fireplace hearth, but ultimately went with shiplap. I have always wanted to do a shiplap project and when I found this tutorial from Table and Hearth I knew we could accomplish it. I am so grateful for their clear instructions and detailed photos of each step. 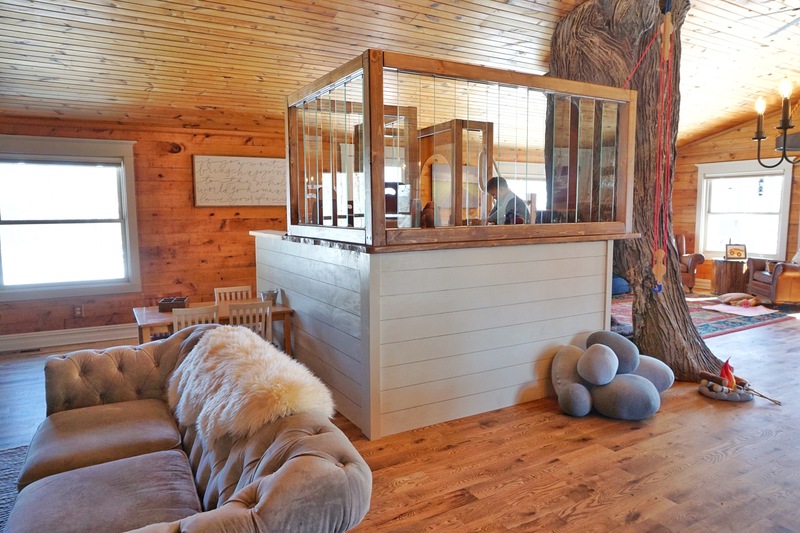 Spoiler alert: The shiplap is actually plywood, but you’d never know it! It’s affordable, looks great and was so simple that it went up in no time. 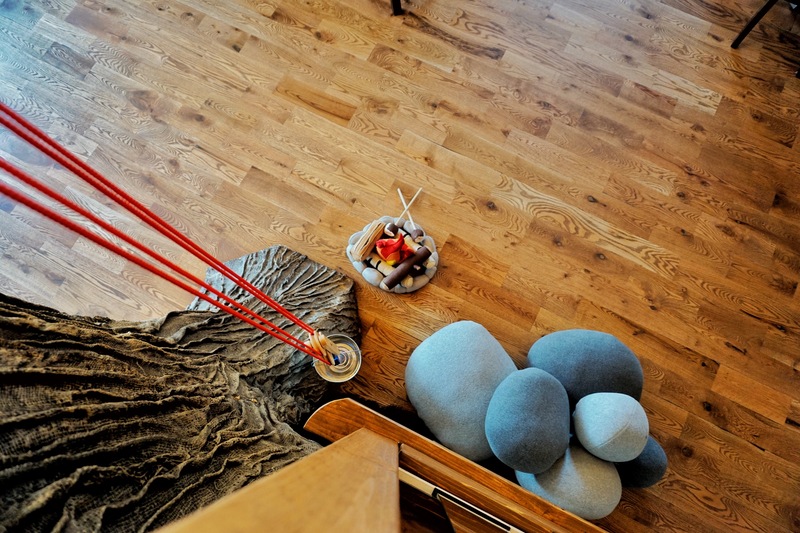 The second level is surrounded by tempered glass (intended for a deck railing) to allow light and sound to travel freely around the room. It’s the perfect amount of autonomy for young children. I can prepare a meal while the kids play and it feels like we are all together, but not tripping over each other. 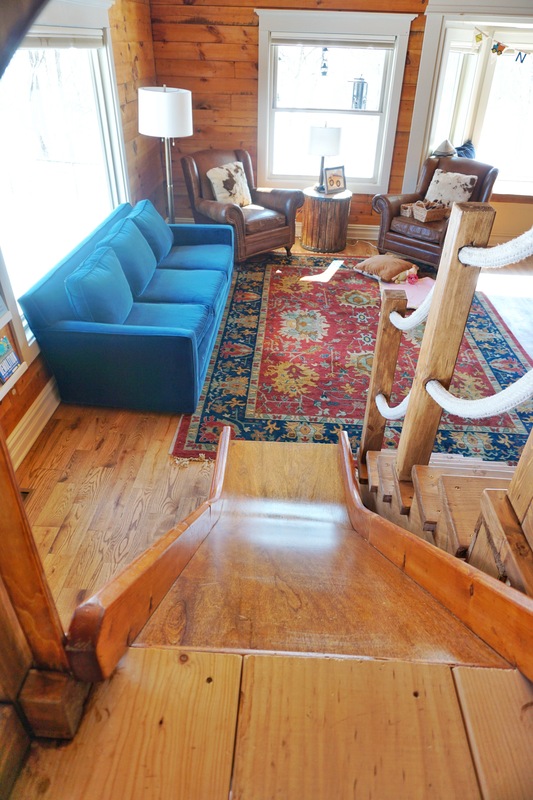 We decided instead of carpeting the second level of the tree house, to choose a 4 X 6 rug. I did a lot of searching for just the right thing. When I saw the, Over the River and Through the Rug, by Land of Nod, I knew I hit the jackpot. Not only is it gorgeous and 100% wool, but it is functional as well. The pile of the rug is so plush, that it makes a cozy spot for reading and lounging. My son loves to drive his cars, trucks and tractors on it and they roll across it smoothly, the weave is just right. But the fun doesn’t stop here! 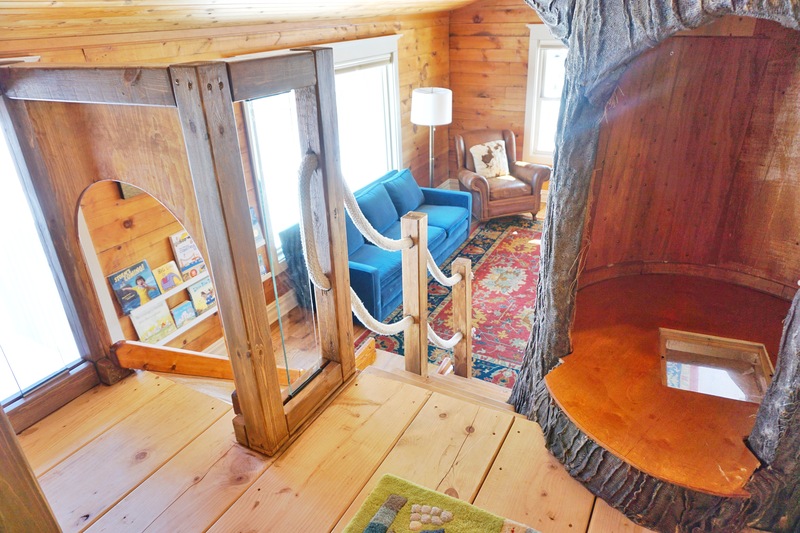 There is a small plexiglass window looking down from inside the second level of the tree house. This is definitely a great feature. Check out this fun slide! And let me tell you, it goes FAST! My 2 year old just learned how to go down all by himself and he’s pretty excited about it! Initially, my husband wasn’t sold on the slide idea, but I was insistent that it needed to be included. Living in the Midwest, where it is cold outside for a good portion of the year, I thought this would be a great way to burn off some toddler energy. The other day my husband commented that he doesn’t know what we would have done without the tree house and slide this winter, as our 2 year old went up and down for the millionth time! 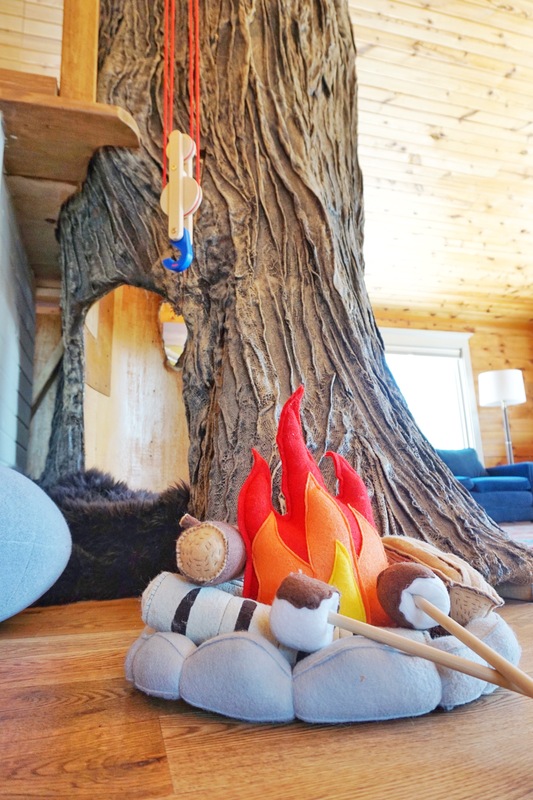 We have enjoyed adding toys and accessories that fit with the theme, like our handmade felt fire ring from HopewellCreek on Etsy, and our giant rock pillows. 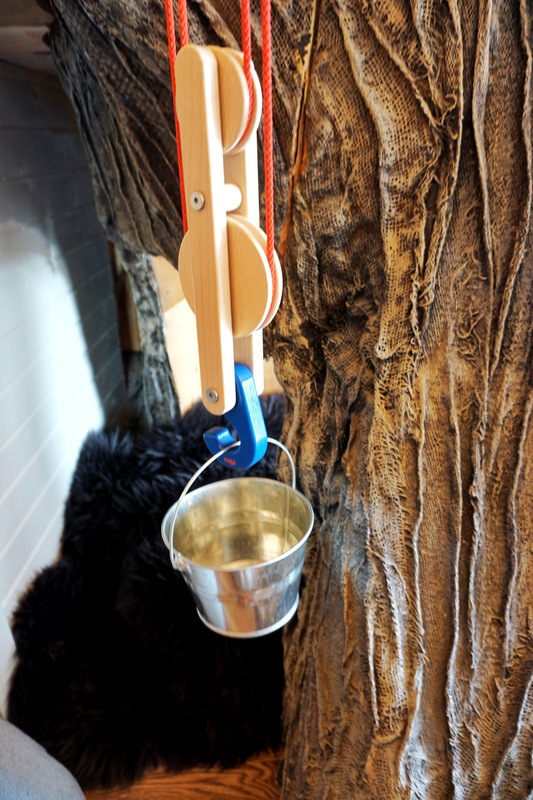 We love our Haba block and tackle too. I like that it’s functional, beautiful and educational. The kids hook on baskets and buckets and haul toys and stuffed animals up and down. We added an eye hook to the second level to hook the end of the rope on. This way even our 2 year old can reach it and pull the bucket up! 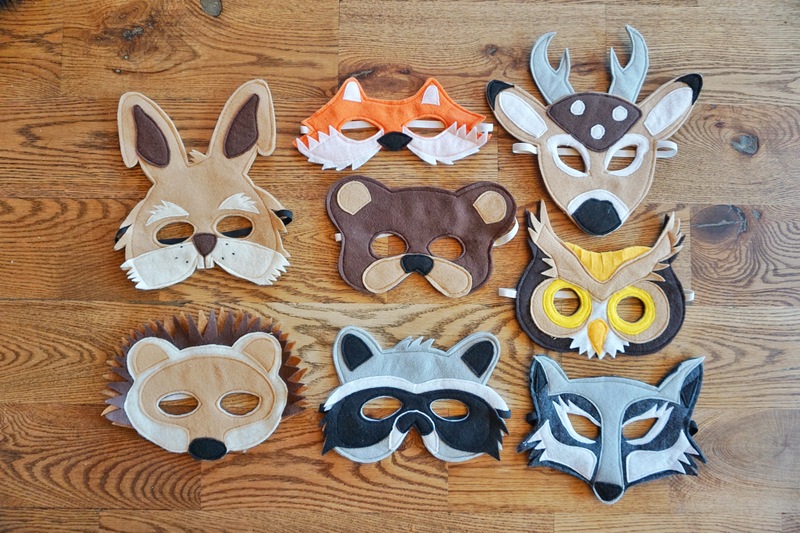 To add an opportunity for imaginative play, we found these Children’s Woodland Animal Felt Masks from Magical Attic on Etsy. They are super high quality and the kids LOVE them. They are an open door to all kinds of creative expression! 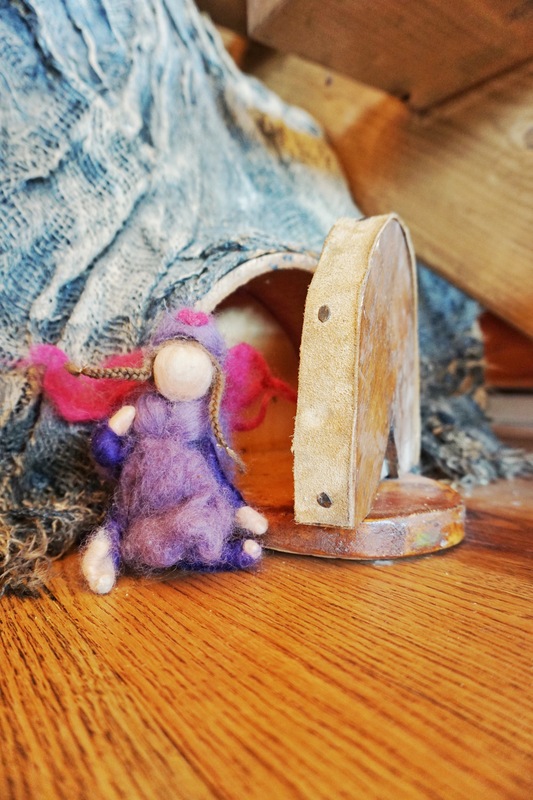 We also have a little fairy that lives at the base of the tree. She is handmade by HeartfeltPassion on Etsy. Our tree house is still a work in progress and we are exploring ways to finish the area under the slide to accommodate toy storage (so.many.toys!) and a reading nook. I plan to document those projects as well! Thank you so much for stopping over to take a tour at our open (tree) house. We look forward to having you again! I’d love to hear in the comments about your experience with a tree house or playhouse as a child. Did you have one you loved? Do you have a great way to get kids active while still being indoors? 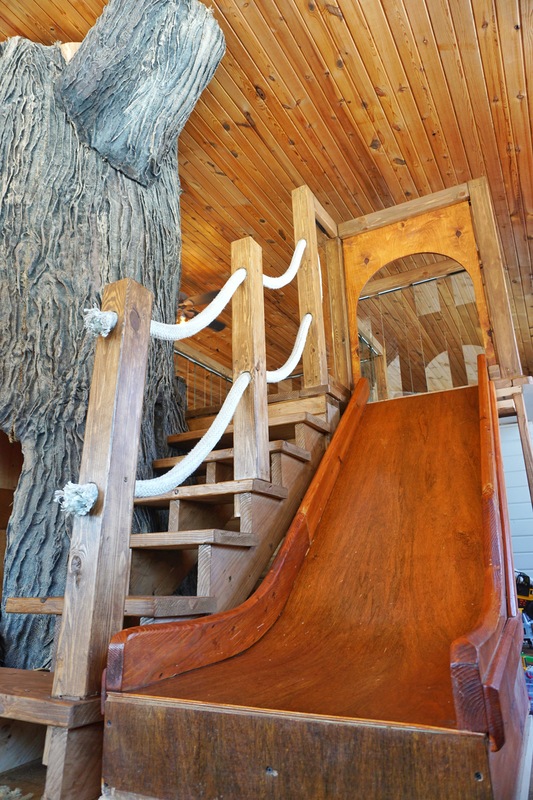 What is your favorite feature of our tree house? Previous postWelcome Friends of Fresh Eggs Daily! I love the tree itself. It looks so real and it is such a cool piece! Wow!! How fun! Looks amazing!